Our After School Workshops in The Sutherland Shire build on the universal popularity of LEGO® bricks to deliver a high quality of Educational Play! 2018 After School Care Programs. Bricks 4 Kidz® Educational Play Programs provide an extraordinary atmosphere for students to buildunique creations, play games and have loads of fun using LEGO® Bricks. Our programs are built around our proprietary model plans, designed by engineers and architects, with exciting themes. At Bricks 4 Kidz®, we believe that kids learn best through activities that engage their curiosity and creativity. Our programs provide a relaxed learning environment where initiative is invited and self-expression is celebrated. Model building provides opportunities for problem-solving and helps children develop an appreciation for how things work. All this takes place whilst kids are having fun and socializing in non-competitive atmospheres. Bricks 4 Kidz® After School Workshops for incorporation in OOSH organisations activities. Children work and play in small groups with designated LEGO® Technic pieces such as gears, axles and electric motors. With over 2000 proprietary model plans and a wide assortment of themes, we will work with you to develop a program suitable to your children’s needs. 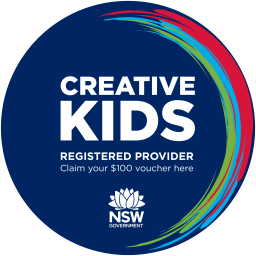 Each program has a strict limit of participants and with at least two staff members you know your child will be getingt the best staff : child ratio for any After School Activity in The Sutherland Shire. To book a Bricks 4 Kidz® After School Workshop at your location please contact us by phone or email. We will be more than happy to answer any questions you have about the programs available and make the necessary arrangements to come to your School or After School Care facility. Download a PDF with the detailed information.